I purchased Hoya sp. PNG SV-417 as a cutting in the summer of 2014 and flowered it about 18 months later in the late winter of 2016. SV stands for Stenasa Varberg, which seems to be a garden center in Sweden specializing in Orchids and Hoyas owned by Arne and Margit Kastberg. The plant comes from Papua New Guinea, and I bought it as a cutting on Ebay from a Florida vendor. The leaves of Hoya sp. PNG SV-417 are glabrous and measure approximately 3.5″ x 2.125″ (8.5 cm x 7.5 cm). Immature leaves are reddish-pink in color before turning light green as they mature. The flowers are around .5″ (1.2 cm) across; there is no detectable scent, and they are light nectar drippers. The flowers last around a week. 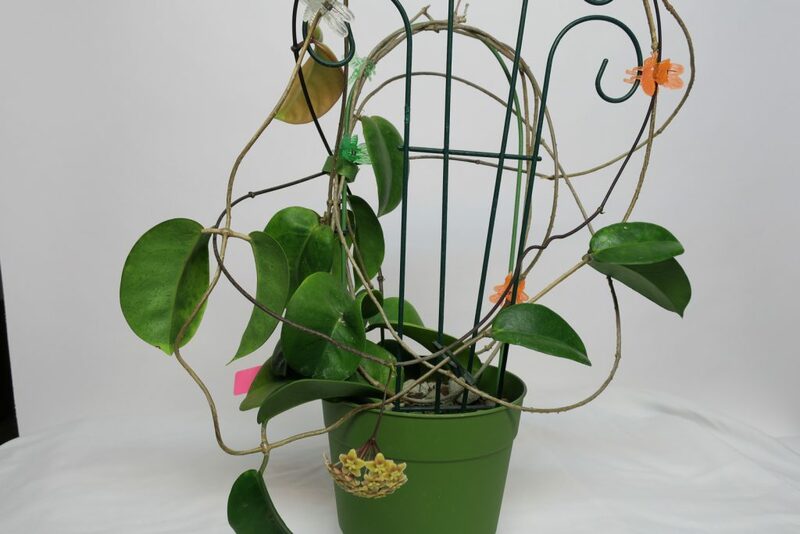 I have not found growing Hoya sp. PNG SV 417 to have been the easiest of tasks. There have been many stops and starts. I put it outside in the summer of 2015 where it did better than it had ever done before. It put on a long vine with several new leaves. When I brought it inside in the fall, it promptly lost all of the new growth from the summer. Finally it started to grow again in my basement grow tent in early January where it put on a peduncle and budded up under T-5 fluorescent lighting. 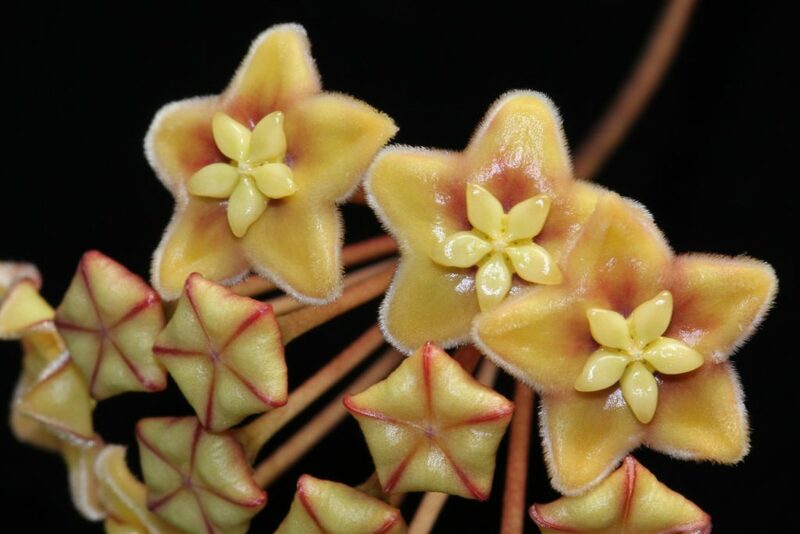 I think that the color of the flowers make this Hoya a must have for the experienced collector and amateur alike – Highly recommended!